We are saying “YES” to color in entertaining this season. It is, of course, the season of vibrant colors and flavors with fresh fruits and vegetables abounding. Whether you are entertaining inside your home or in your outdoor space, dive in and embrace those bright hues! 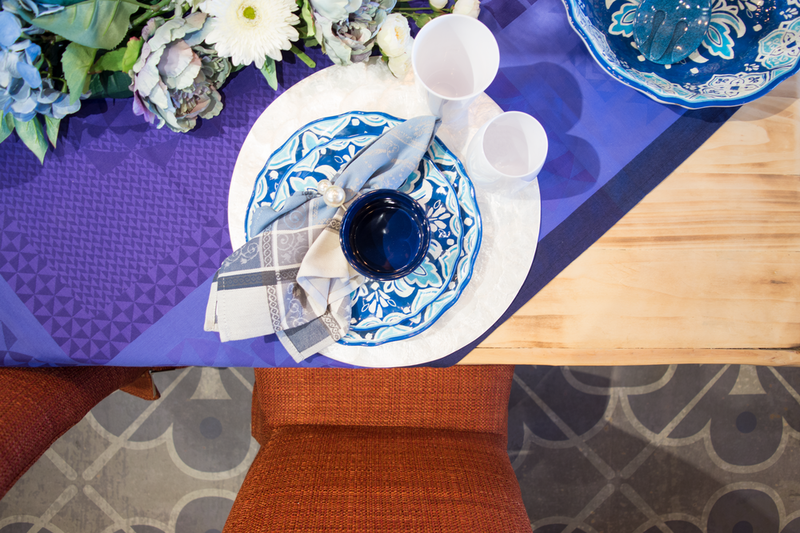 Creating a bright and colorful table can be as simple as adding new table linens in a fresh pattern or hue. Our collection of French table linens from Le Jacquard Français and La Maisonnette set the tone of any table with rich, vibrant colors. Layer upon that by using contrasting chargers and tableware at each place setting. 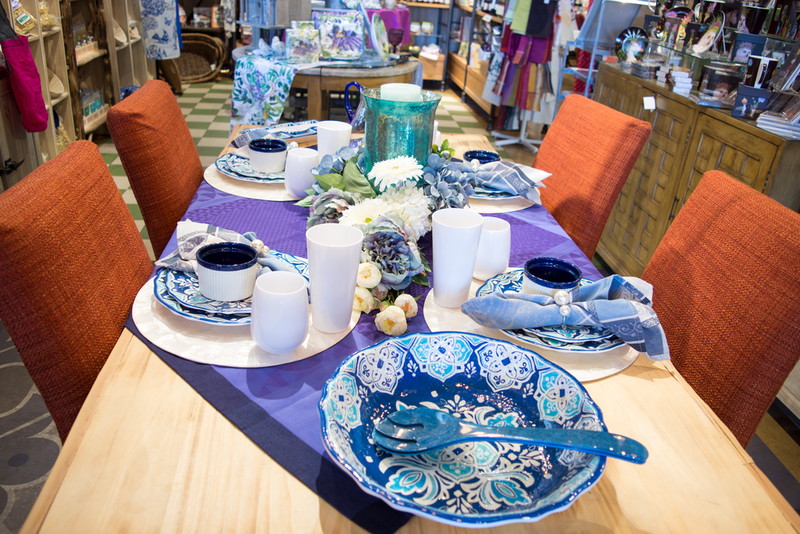 Our line of Le Cadeaux Melamine dishes, glasses and tableware compliment these bright summer tables with the right touch of color and pattern. Already have bright hues or color in your home? That's okay! Embrace it and add additional colors that compliment your current color scheme. 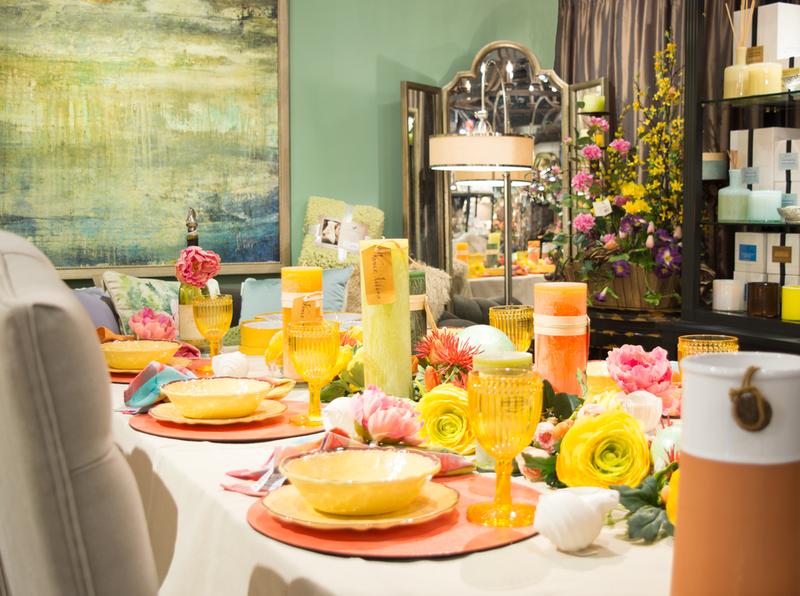 In this bright, citrus tablescape we brought in small touches of the aqua-green color to the floral centerpiece to tie into the color of the accent wall. By doing so, it creates a well-balanced look that compliments the space. Don't forget to set the tone with candles. The centerpiece is completed with varying heights and colors of Vance Kitira candles setting the perfect ambiance for the gathering. 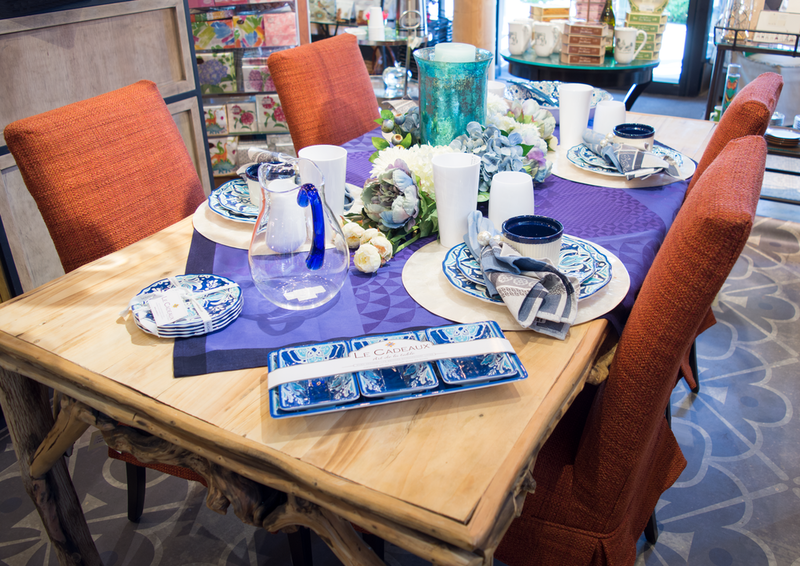 Creating a colorful, summer table is easily achieved. Select your color scheme and have fun! Mix in those different textures and tones to your tablescape to make it bright and beautiful this season. Shop The Gilded Lily Home's whole collection of tablescape essentials in downtown Wenatchee today. Our selection of table linens, serveware, florals and accent pieces will have your table vibrant and colorful in no time.